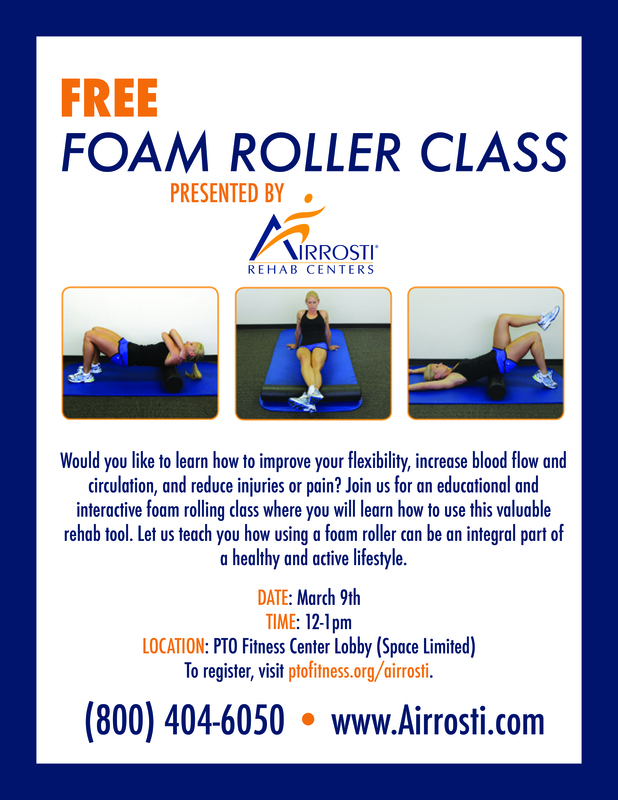 Would you like to learn how to improve your flexibility, increase blood flow and circulation, and reduce injuries or pain? Join us for an educational and interactive foam rolling class where you will learn how to use this valuable rehab tool. Let us teach you how using a foam roller can be an integral part of a healthy and active lifestyle.